Edited baseurl in your _config.yml folder. It should be “/yourfolder” but replace yourfolder with the name of the folder you created to hold your jekyll instance. Start by logging into Cloud9. Navigate to https://www.color-hex.com/ and pick a color that works for you, copy the . Paste in the following text, but replace #NNNNNN with the hex code you selected above. Save your file. Run jekyll build. 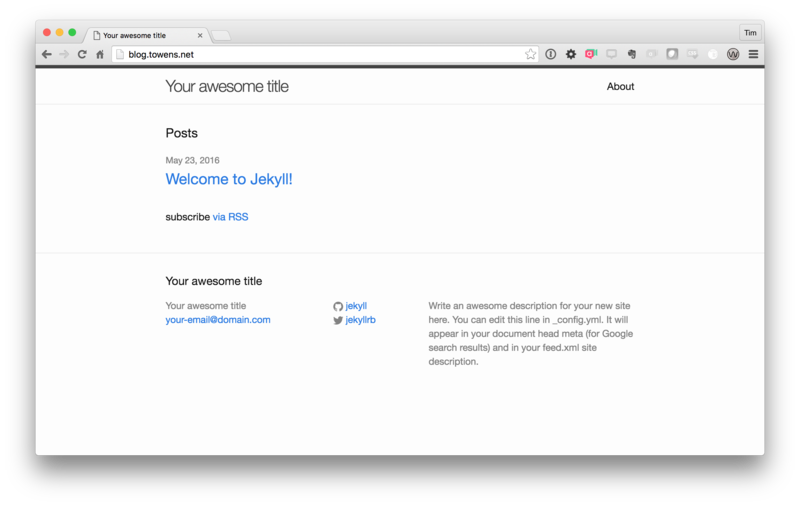 Download the contents of the _site folder, and upload it following the steps in the Jekyll on Cloud9 tutorial.